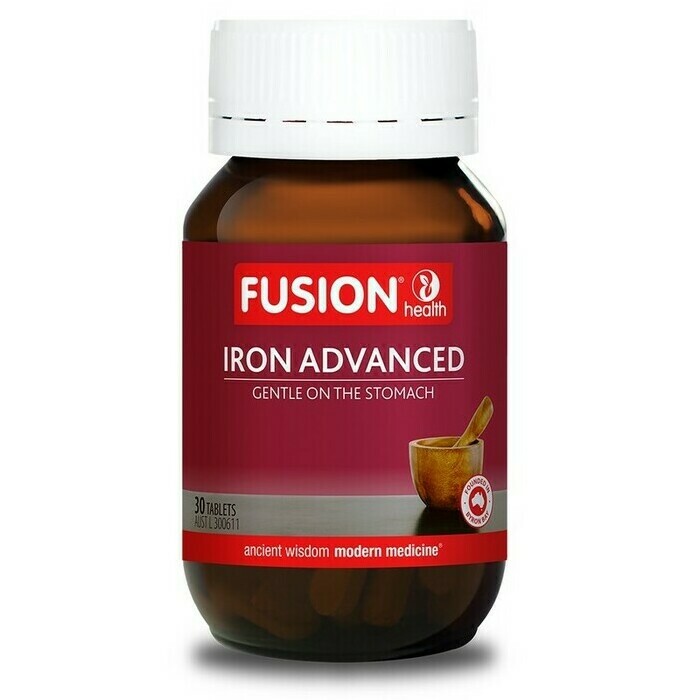 These Fusion Health Iron Advanced tablets may assist in the management of dietary Iron deficiency, providing a source of premium organic Iron together with Vitamin B12 and Folic Acid. They contain a highly bioavailable, absorbable form of organic Iron together with nutritional cofactors that enhance Iron absorption and utilisation. They can help maintain healthy Iron stores for physically active people, athletes, growing children, vegans and vegetarians and women who experience heavy period, and are gentle on the digestive system. Iron is an essential mineral in the formation of haemoglobin in red blood cells, which transports oxygen to the body for the production of cellular energy from food. It is also essential in the formation of myoglobin, which releases oxygen during intense muscle activity. 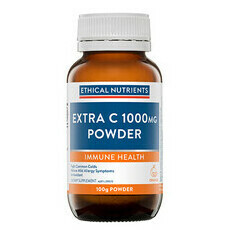 Vitamin C enhances the absorption of Iron, while B1, B2, B6, B12 and Folic Acid serve as cofactors in enzyme systems involved in red blood cell production. If symptoms persist, consult your healthcare practitioner. Always read the label. Use only as directed. 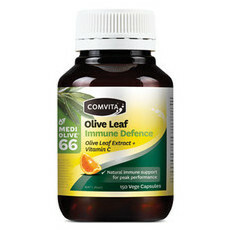 Vitamin supplements should not replace a balanced diet. Made in Australia. Gluten-free, Vegan. Child 6-12yrs - take ½ tablet once daily. Child under 6yrs - take as professionally advised. If pregnant, always consult with a qualified healthcare practitioner before taking herbal medicines. I really like this iron supplement. 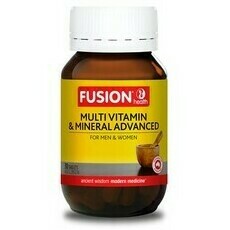 It helps boost my iron levels fast and doesn't upset my stomach. Definitely recommend. I’ve been on iron supplements for 15 years and of all the tablets I’ve tried, Fusion Iron Advanced is the fastest working with the least impact on my digestive system. And the added B vitamins give a nice little boost too! 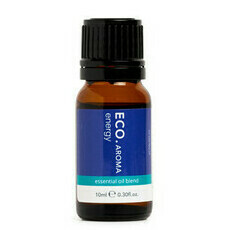 i use this as well as spatone when pregnant and works well.